Craving adventure? All you need is an hour and an open mind. 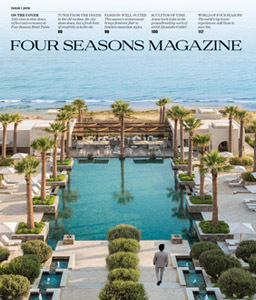 From traditional Thai boxing in Koh Samui to floating in a hot-air balloon high above the Serengeti, these Four Seasons–curated adventures prove that the most gripping experiences can take place in the span of an hour. Whether your heart’s pounding from vigorous exertion or skipping a beat on account of incredible sights, one thing is certain: Your choice is well worth the time. A lioness silently eyeing an unknowing wildebeest. A pod of hippos lolling in the muddy river. Ostriches running at full tilt. These are scenes that unfold by the minute in Tanzania’s vast Serengeti National Park, home to the kinds of animals most of us have only seen at the zoo. You’ve watched it on screen, but nothing – not even rumbling through the park in a safari vehicle – compares to the bird’s-eye-view. 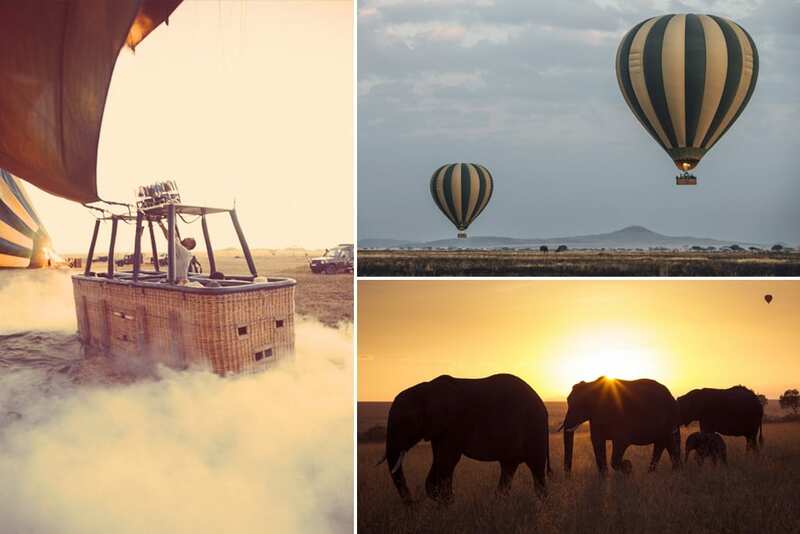 Four Seasons Safari Lodge Serengeti has teamed up with long-time aerial outfitter Serengeti Balloons to take guests to a new level of wildlife viewing. You’ll float over an ocean of undulating savannah with no end in sight – the paradisiacal home of elephants, giraffes, buffalo, zebra, rhinos, lions, leopards and cheetahs. The trip is timed for dawn, when animals are most active and the rising sun casts a golden hue over the expanse below. Plan to arrive for the Great Migration (April through June and September through November) and you’ll witness one of the earth’s greatest primordial traditions, exponentially increasing your chances of seeing every one of the famous Big Five. 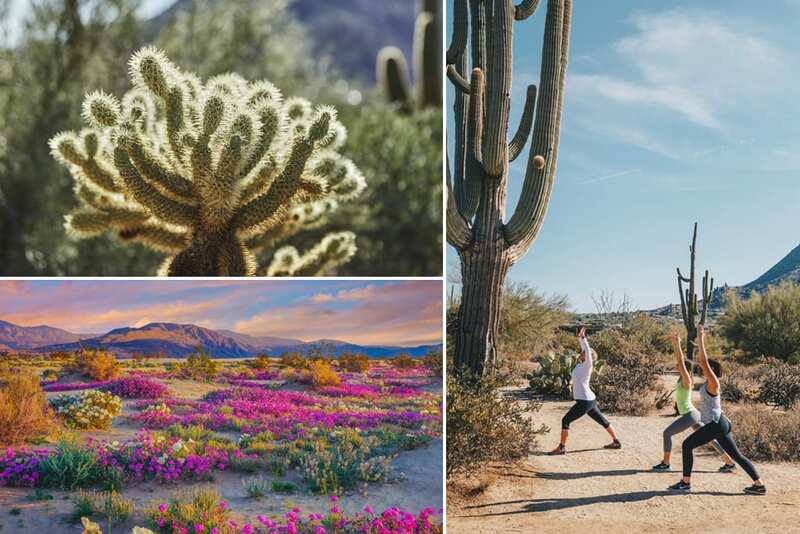 Four Seasons Resort Scottsdale begins in a quiet corner of the Resort grounds, where a yoga instructor guides you through a sensory exercise designed to open you up to the sounds, sights and smells around you. You’ll stretch and breathe and also set an intention, a practice commonly done at the beginning of a yoga session in order to focus your mind and body on a goal. A hiking trail conveniently connects the Resort to the base of Pinnacle Peak. Upon arrival, you’ll steady yourself in mountain pose while gazing up at the granite pile above. On the way to Grandview, the first lookout point, several more posture stops ensue, all designed to deepen the hiking experience both physically and mentally. Thailand’s native sport is more than just boxing. In Muay Thai, a close-contact pursuit dating back centuries, the human body becomes a multifaceted battle machine – hands act as swords, shins and forearms become shields, elbows serve as heavy hammers, legs and knees are the axe and staff. Also known as the “art of eight limbs,” it’s an exhilarating workout, whether you’re facing an opponent or simply honing the skills. Built into a hillside overlooking the Gulf of Thailand, the outdoor ring at Four Seasons Resort Koh Samui offers an exquisite opportunity to try the sport or improve your practice. Your coach, a professional Muay Thai boxing master, tailors the tutorial to your experience level. Want more? Upgrade to the Mini Boot Camp, which begins with a Rocky-style run on the beach and ends with a specially designed restorative massage, or the Ultimate Muay Thai package, including VIP seats for a pro fight at Chaweng Boxing Stadium. 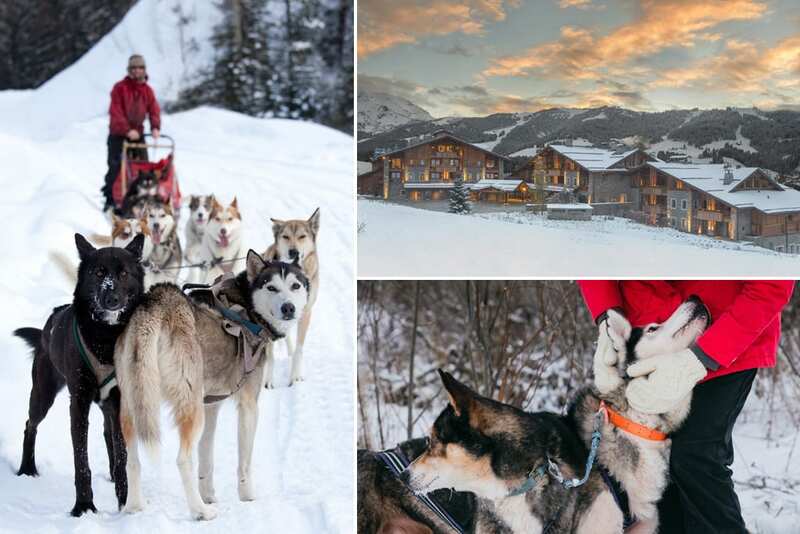 An unmatched base for slaloming the French Alps, this debonair ski town recently acquired another reason to visit: In 2018, Four Seasons Hotel Megève took on its own pack of sled dogs, who reside with their professional musher, Natasha, steps away from the Hotel. The captain and her huskies will pick up your group at the Hotel’s front door, and you’ll embark on a jaunt over the snow-covered hills of Golf du Mont d’Arbois, a veritable winter wonderland framed by the not-so-distant Alps. Commemorate the outing by inviting professional photographer Katie Farr to join in. She’ll bring her camera and deliver what is sure to become the most coveted holiday card in the stack. 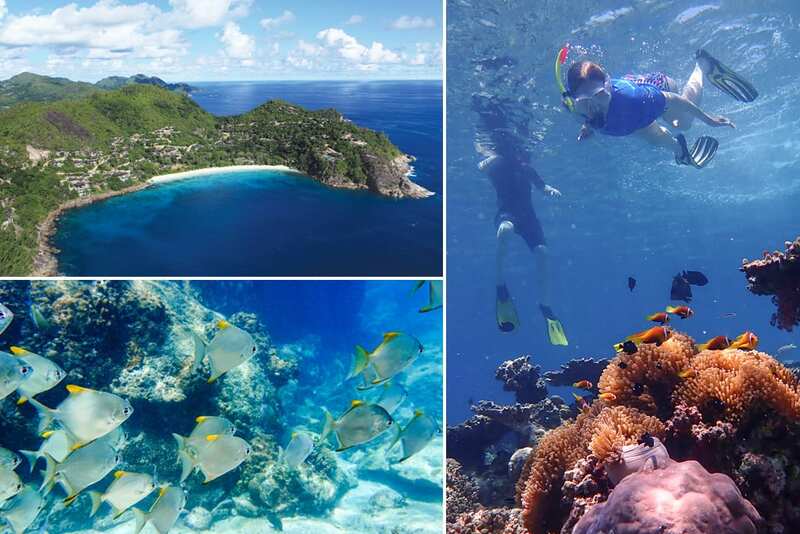 Since 2012, Four Seasons Resort Seychelles has partnered with marine conservation group WiseOceans to support the Resort’s natural surroundings and introduce exclusive experiences to guests. The crescent beach fronting the Resort is home to a reef recovering from toxic algae bloom and bleaching caused by warmer-than-usual waters. In 2015, WiseOceans and Four Seasons Resort Seychelles launched the Petite Anse Reef Restoration Project with the goal of restoring 10,000 square metres of limestone reef. Researchers collect broken coral fragments and monitor them in an on-site aquatic nursery until they’re ready to be fastened to steel rods around the reef, a safe way to foster further growth. During a guided snorkel, you can adopt their own fledgling bit of coral and watch as it’s placed on the reef. Along the way you’ll encounter parrotfish, angelfish, eagle rays, squid and octopus, all navigating this vibrant undersea neighbourhood. Where will you seek adventure next? 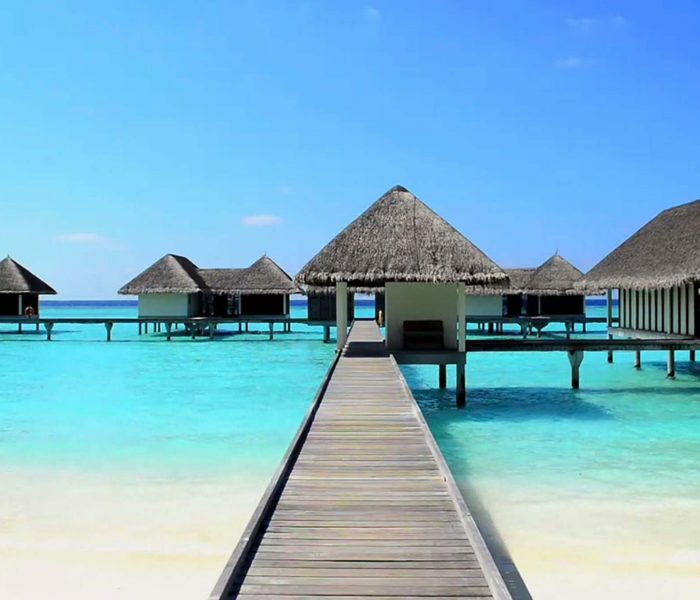 Experience exceptional diving, world-class dining and island culture when you retreat to these Maldives resorts.